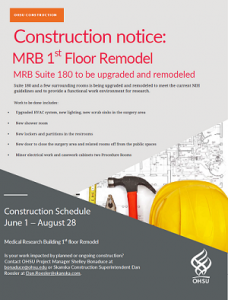 Construction on the first floor of the Medical Research Building will begin on Thursday, June 1, and continue through Monday, August 28. 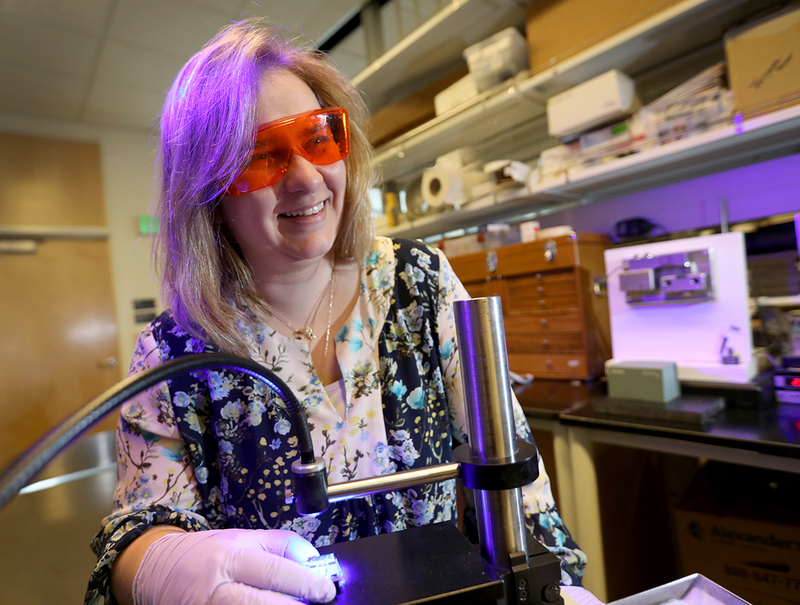 Suite 180 and a few surrounding rooms are being upgraded and remodeled to meet current NIH guidelines and to provide an improved work environment for research. Next week, posters in the MRB first and second floor elevator lobbies will provide details about the types and levels of noise, along with the construction schedule for specific areas. Is your work impacted by planned or ongoing construction? Contact OHSU Project Manager Shelley Bonaduce at bonaduce@ohsu.edu or Skanska Construction Superintendent Dan Roesler at Dan.Roesler@skanska.com.